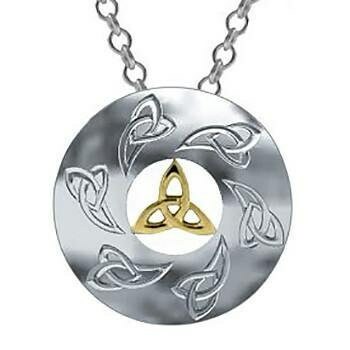 A round Celtic knot pendant in highly polished sterling silver featuring a 18k gold plate trinity knot in the center. This artisan piece will be a unique gift for any lover of Celtic symbols. The trinity knot is symbolic of everlasting love and eternal life. They are inspired by the beautiful and very colorful drawings that decorate the Gospels in the Book of Kells. 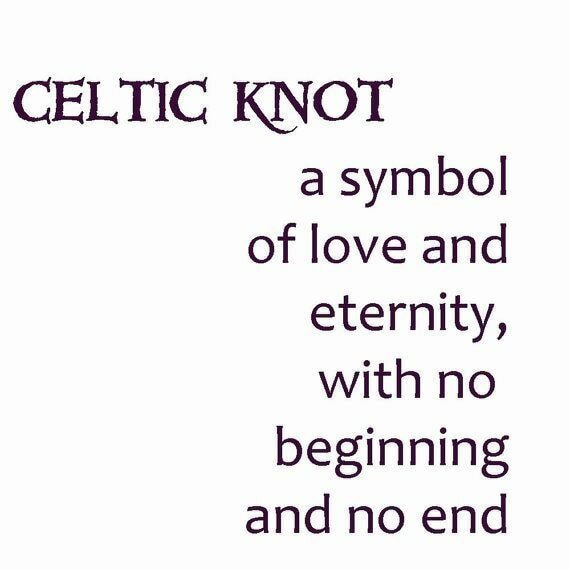 Celtic Knot Meanings. ... These knots are complete loops that have no start or finish and could be said to represent eternity whether this means loyalty, faith, friendship or love. 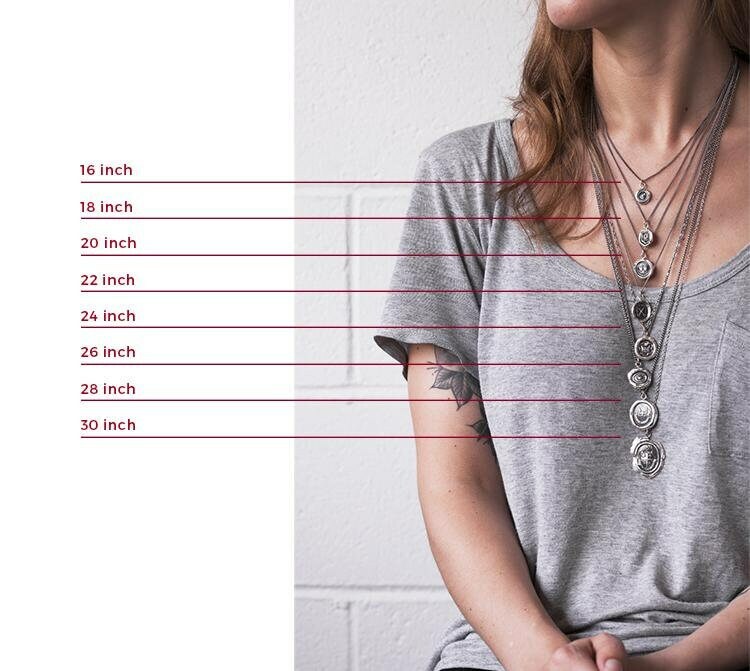 Only one thread is used in each design which symbolizes how life and eternity are interconnected.